این‌ها از جمله پرسش‌هایی است که در این مقاله به آن‌ها پرداخته خواهد شد. در این مقاله نشان داده خواهد شد که نظریه مطلوبیت بر پیش‌فرض‌هایی استوار است که از همان ابتدا با چالش‌های اساسی مواجه شد. این نظریه بر بینش خاصی از اصول روان‌شناختی انسان مبتنی است و پیوند میان مصرف و سایر مفاهیم و موضوعات را منقطع ساخته است. در مقابل، نشان داده خواهد شد که نظریه مصرف نهادگرا که مبتنی بر نظریه طبقه مرفه وبلن است تبیین بهتری از موضوع مصرف و موضوعاتی همچون فقر که پیوندی ناگسستنی با آن دارند ارائه می‌کند. Consumption is one of the most important issues in economics. According to this fact, the present paper is devoted to this topic. Indeed the main questions to be addressed are: what dimensions of reality is covered by conventional theory of consumption? Which postulates are the main ones in this conventional theory? Has institutionalism presented a more comprehensive theory of consumption? In other words, can institutional economics theory of consumption, or more specifically, Veblen theory of consumption, provide a better explanation of reality? In this paper we will demonstrate that, from early stages of its evolution, utility theory of consumption was encountered with serious challenges. This theory is based on some psychological principles that disconnected the connection between consumption and other issues. In contrast, it will be demonstrated that the theory of institutional economics , which is based on Veblen theory of leisure class, do provide a better explanation of consumption and some very related issues, such as poverty. 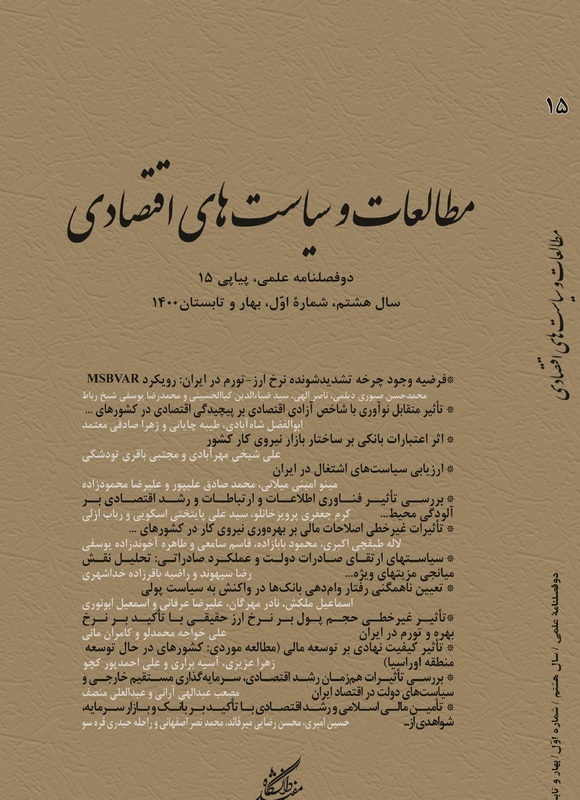 گالبرایت، جان کنت؛ جامعه متمول، ترجمه سید حسین شجره، چاپ انتشارات دانشگاه تهران، 1340. وبلن، تورستین؛ نظریه طبقه مرفه، ترجمه فرهنگ ارشاد، نشر نی، تهران، 1383. Adorno, T. W; 1941, "Veblen’s Attack on Culture", Studies in Philosophy and Social Science, Vol. 9 (3), pp. 389-413. Akerlof, G. A. and Kranton, R. E; 2000, "Economics and Identity", Quarterly Journal of Economics, Vol. 115, No. 3, pp. 715-753. Akerlof, G. A. and Kranton, R. E; 2002, "Identity and Schooling: Some Lessons for the Economics of Education", Journal of Economic Literature, Vol. XL, pp. 1167-1201. Arrow, Kenneth J; 1994, "Methodological Individualism and Social Knowledge", The American Economic Review, Volume 84, Issue 2, pp.1-9. Ayres, C. E; 1962, the Theory of Economic Progress: a Study of the Fundamentals of Economic Development and Cultural Change, Schocken Books, New York. Chapman, David A; 1998, "Habit Formation and Aggregate Consumption" Econometrica, Vol. 66, No. 5, pp. 1223-1230. Commons, J. R; 1931,"Institutional Economics", American Economic Review, Vol. 21, No. 4, pp. 648-657. Commons, J. R; 1934, Institutional Economics, The Macmillan Company. Coşgel, M. M; 1997, "Consumption Institutions", Review of Social Economy Vol. 55, No. 2, pp. 153-171. Coşgel, Metin M. and Lanse Minkler; 2004, "Religious Identity and Consumption" Review of Social Economy, Vol. 62, No. 3, pp. 339-350. Davis, J; 2003, Theory of the Individual in Economics, New York: Routledge. Dugger, W. M; 1979, "Methodological Differences between Institutional and Neoclassical Economics" Journal of Economic Issues, Vol. XIII, No. 4, December. Frank, R; 1999, Luxury Fever, New York: Free Press. Hamilton, David; 1973, "What Has Evolutionary Economics to Contribute To Consumption Theory", Journal of Economic Issues, Vol. VII, No. 2, pp. 197-207. Hamilton, David; 1987, "Institutional Economics and Consumption", Journal of Economic Issues, Vol. XXI, No. 4, pp. 1531-1553. Hamilton, David; 1989, "Thorstein Veblen as the First Professor of Marketing Science", Journal of Economic Issues, Vol. XXIII, No. 4, pp. 1097- 1103. Hamilton, David; 2001, "Comment Provoked by Mason`s Duesenbery Contribution to Consumer Theory", Journal of Economic Issues, Vol. XXXV, No. 3, pp. 745-47. Hodgson, Geoffrey M; 1997, "The Ubiquity of Habits and Rules", Cambridge Journal of Economics, 21(6), Nov., pp. 663-84. Hodgson, Geoffrey M; 1998a, "The Approach of Institutional Economics", Journal of Economic Literature, Vol. XXXVI, pp. 166-192. Hodgson, Geoffrey M; 1998b, "Veblen Theory of Leisure Class and The Genesis of Evolutionary Economics", in W. J. Samuels (ed. ), The Foundations of Evolutionary Economics, Routledge, pp. 170-200. Hodgson, Geoffrey M; 2000, "What is the Essence of Institutional Economics?" Journal of Economic Issues, Vol. XXXIV, No. 2. Hodgson, Geoffrey M; 2002a, "Reconstitutive Downward Causations: Social Structure and The Development of Individual Agency", in E. Fullbrook (ed. ), Intersubjectivity in Economics: Agents and Structures, Routledge, pp. 159-180. Hodgson, Geoffrey M; 2002b (ed. ), A Modern Reader in Institutional and Evolutionary Economics: Key Concepts, Edward Elgar. Hodgson, Geoffrey M; 2006, Economics in The Shadows of Darwin and Marx: Essays on Institutional and Evolutionary Themes, Edward Elgar. Hodgson, Geoffrey M. 2007, "Meanings of Methodological Individualism", Journal of Economic Methodology, 14(2), June, pp. 211-26. Langlois, R. N; 1993, "Orders and Organizations: Toward an Austrian Theory of Social Institutions", in B. Caldwell and S. Böhm (ed.) Austrian Economics: Tensionsand New Directions, Dordrecht: Kluwer Academic Publishers, pp. 165-183. Lawson, Tony; 2006 "The Nature of Heterodox Economics", Cambridge Journal of Economics, 30, 483-505. Lawson, Tony; 2003; Reorienting Economics, Routledge. Lawson, Tony; 1997, Economics and Reality, Routledge. Leibenstein, H; 1950, "Bandwagon, Snob, and Veblen Effects in the Theory of Consumers’ Demand", Quarterly Journal of Economics, Vol. 64, PP. 183-207. Miller, E. S; 2003, "Evolution and Stasis: The Institutional Economics of David Hamilton", Journal of Economic Issues, Vol. XXXVII, No. 1. NG, Yew-Kwang; 2003, "Orthodox Economics and Economists: Strenghs and Weaknesses", Singapor Economic Review, Vol. 48, No. 1, pp. 81-94. Stanfield, J. R; 1999, "The Scope, Method, and Significance of Original Institutional Economics", Journal of Economic Issues, Vol. XXXIII, No. 2. Stein, Johan; 1997, "How Institutions Learn: A Socio-Cognitive Perspective", Journal of Economic Issues, Vol. XXXI, No.3, September 1997. Tilman, R. & T. Knapp; 1999, "John Dewey’s Unknown Critique of Marginal Utility Doctrine: Instrumentalism, Motivation, and Values" Journal of the History of the Behavioral Sciences, Vol. 35(4), pp. 391–408. Veblen, Thorstein; 1909, "the Limitation of Marginal Utility", the Journal of Political Economy, Vol. 17, No. 9, pp. 620-636. Viskovatoff, A; 2003, "Rationalism and Mainstream Economics", Journal of Economic Methodology 10:3, 397-415.